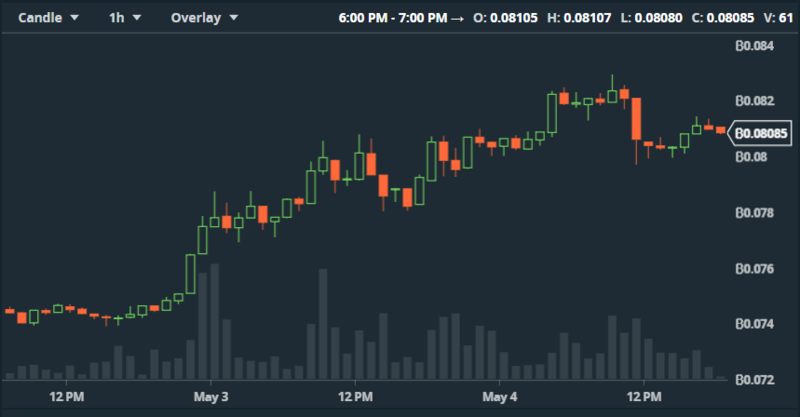 ETH Reapproaches $800; BTC $10,000 » Crypto, noob. 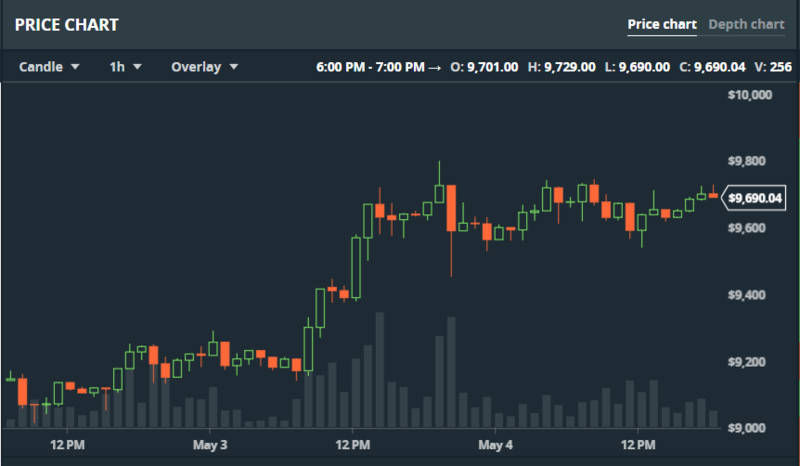 Positive price movements continue for both Ether and Bitcoin as ETH continues to lead the way. This has the makings of a big weekend. 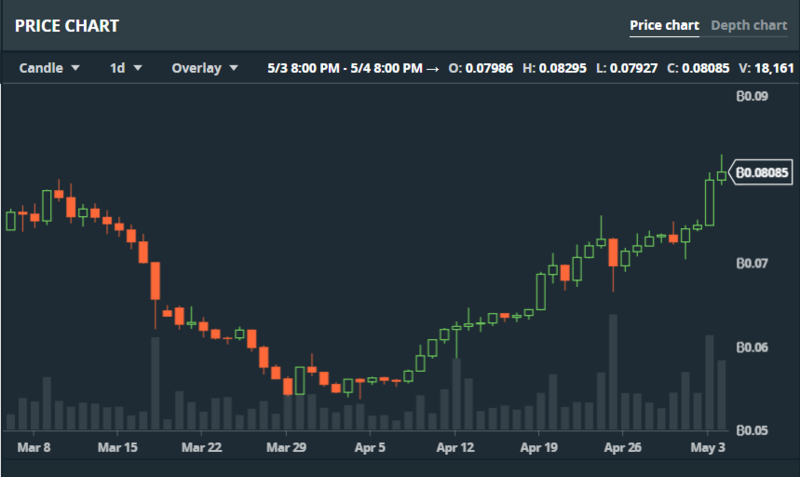 As Bitcoin has slowly re-approached the $10K milestone, Ether continues to spike upwards, briefly breaking $800 earlier this morning. Zooming out on the ETH/BTC chart makes me even more bullish on ETH. This recovery has been extreme but ETH is still far from it’s previous ATH (all-time-high) on the ETH/BTC ratio. The chart below is encouraging to me because it shows how much more growth is possible. At .17 on the ratio we’ll arrive at what is called ‘The Flippening’. This means that Market Cap of ETH will surpass Bitcoin. I think this happens later this year. 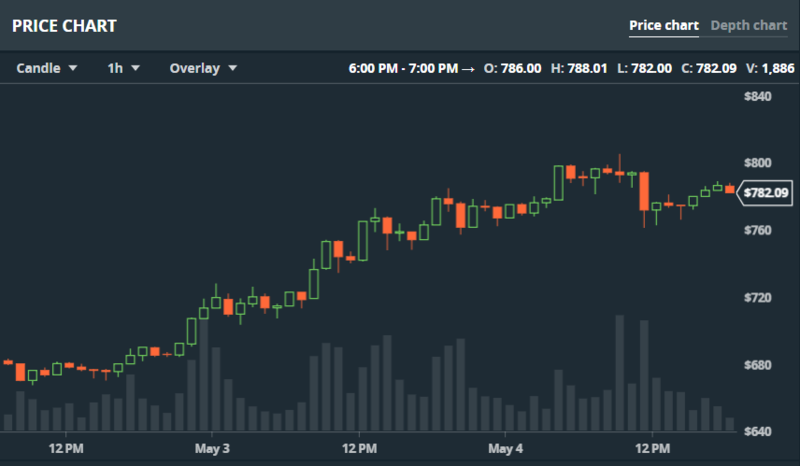 I think the ratio hits .17 as BTC rallies towards $20K as well. This would bring ETH to ~$3,400 – right in the range of my end of year price. ~ a blog by Matthew Schapiro, WINTHENET.com.